Address: Felinfoel Community Resource Centre, Felinfoel Recreation Ground, off Ynyswen Road, Felinfoel, Llanelli, SA14 8BE. 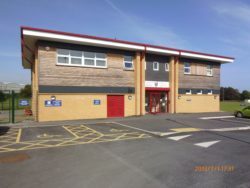 Situated within the grounds of Felinfoel Recreation Ground, King George V Fields, Felinfoel Community Resource Centre houses office space and changing rooms for Felinfoel’s Cricket, Football and Rugby sides. 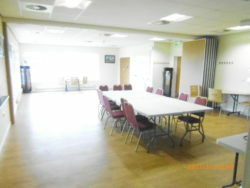 The community hall, named Bro Las Hall, is situated on the first floor which is equipped with a modern kitchen. Disabled parking and access is available at the hall.